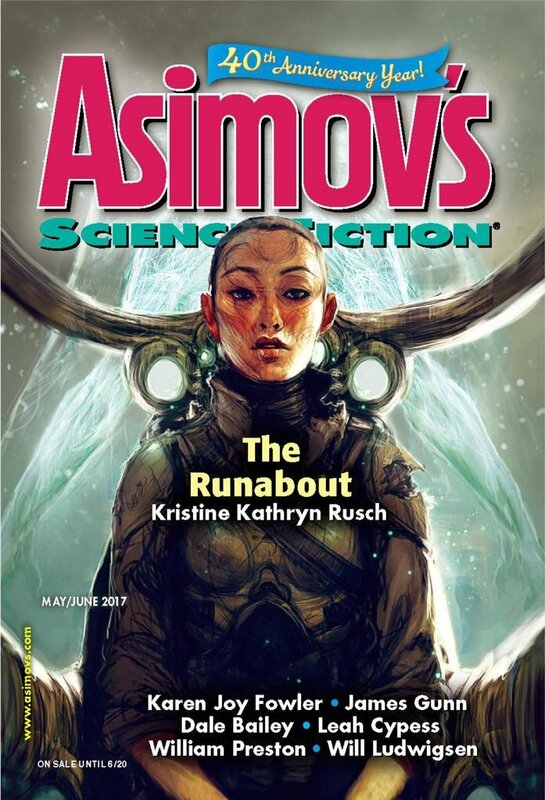 "The Escape of the Adastra: Asha&apos;s Story," by James Gunn [bio] (edited by Sheila Williams), appeared in Asimov's Science Fiction issue 05-06|17, published on April 20, 2017 by Penny Publications. Pro: The plot itself is fine. 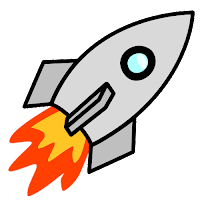 All attempts to reason with their captors have failed, so Asha and Ren manage an escape, cleverly distracting the aliens by sending a smaller vessel to Earth while they chase the Adastra to the edge of the galaxy. Con: The story is told almost entirely in narration. It reads like the outline of a story—not a real story. Some of the science is pretty bad. For example, a red dwarf is not the result of a red giant collapsing. Yeah... this one was pretty bad. Sort of silly premise (alien bureaucracy just seems too much like hitchhikers) and a non-immersive writing style. The author is 94 years old. He's something of a living legend in SF. It's amazing that he's still writing. Unfortunately the stories he's writing are not so amazing.